​Anthony Branca, originally from East Machias, Maine, graduated from Washington Academy and has since kept busy as a professional musician in the Portland area. 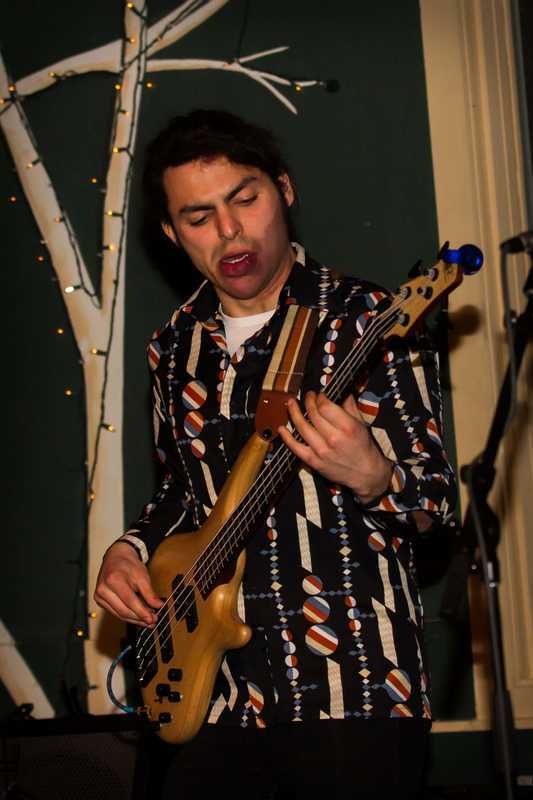 As well as bass, Anthony plays guitar in various styles, including jazz, rock, folk, and classical, and enjoys writing original music. He is a student of music at the University of Southern Maine, studying with guitarists Gary Wittner and Keith Crook. I’m addition to Junco, Anthony can be seen playing regularly with various groups, including Portland-based jazz ensemble Old Sultan, for which he plays guitar and composes.